Autumn is my favorite season. Not only because of the lovely bright blue skies on a sunny day, but also the gray, purple and pinks of the evening sunsets. Add in the gorgeous shades of color spilling over the trees, shrubs and grasses in every direction for an incredible show. So many different shades contained within a single leaf or a single branch of a tree. I have spent my life as an adult in the mid-atlantic area of northern Virginia, close to the Potomac River. Crisp air and cool breezes signal another change in our seasons. Broader vistas appear as the leaves begin to drift and fall. No matter whether you walk a little faster to stay warm or continue to stroll slowly enough to enjoy the scenery, time spent outdoors is a gift to enjoy. Red, gold, green, yellow, blue, orange, and the list goes on as each hue has an opportunity to shine in its own place. 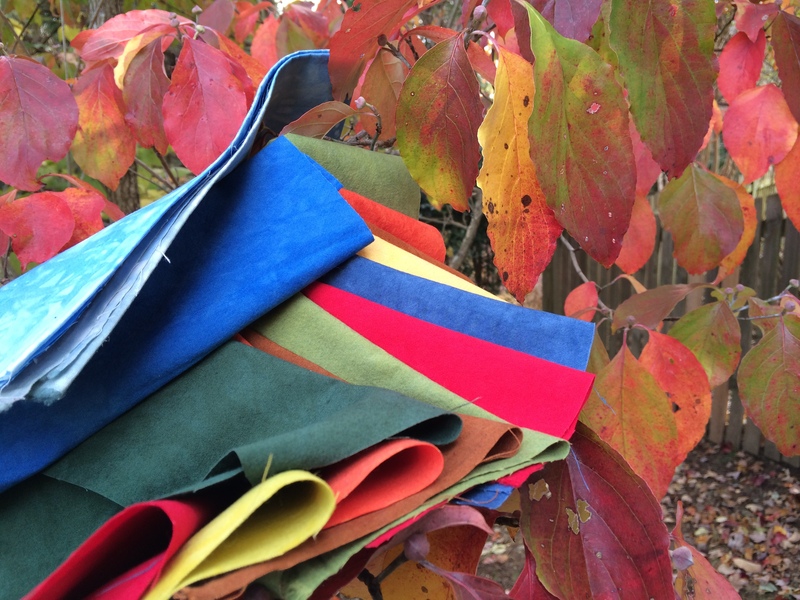 The ladies of Cherrywood Fabrics also know my favorite season as they dye lovely fabrics bursting with these colors. The changing light and colors of autumn continue to provide inspiration for my work. Let’s share a cup of tea and enjoy the beauty of this season together. Looking forward to seeing what comes out of Rippling Waters in 2015.